Would you climb to the top of a banana tree for a treat if you have a table full of delicious fruits already washed, cut and served for you on nice plates? I don’t know your answer, but I know that at Dodo Pizza we would first climb to the top. In fact, we are already doing it right now. For us the table served to us is the pizza market in Eastern Europe and the tree is North America, where we decided to open our first pizza delivery and then grow a chain of 300 stores in a few years. As a result, we are now clinging to the trunk, scratching our knees and palms and perspiring like in hell. Many people think that it’s stupid. We’ve left a lot of opportunities on our plate. We’ve already opened more than 40 stores in Russia but the market is still empty. We can’t say that we see a lot of competition. In 2014 Papa John’s had only 53 pizzerias in the country with more than 140 million people. Most fast-food chains focus their efforts on only the two biggest cities, Moscow and Saint Petersburg. Almost half of their stores are located there though only 12% of the population live in these two cities. We managed to learn how to launch a profitable business in small towns. Dodo Pizza is well-known in the region. A lot of entrepreneurs from all over Russia want to become our franchisee. If we feel that Russia is not big enough, we can go to other ex-Soviet Union countries with a lot of Russian speaking people, where the markets differ only a little. The US market is quite opposite. The competition here is huge. It’s nothing comparable to Russia. I’ll give you only one, but expressive example. 240K people live in Syktyvkar, our home town, and we are the only pizza chain there. Except Dodo Pizza, there is only one non-local brand there — McDonald’s, which opened its doors only 2 years ago. Compare it with the 20K folks who live in Oxford, Mississippi where we are opening the first Dodo Pizza in the US. Ten times less people enjoy the competition of all major pizza chains such as Papa John’s, Domino’s and Little Caesar’s. You have to offer something really fresh and interesting to win this kind of market. You need to deeply understand the people living here. You have to know where they have come from, how they feel at the end of the day, what they are scared of, what they dream about, what makes them happy or bored. I have to admit that we don’t know it yet. We are the strangers here. People in the US don’t know who we are either. Dodo Pizza means nothing to them. It will be much harder for us to make connections, hire new staff and find partners. So, let’s draw the line. In our region we have no competition, a proven business model and the strong brand. In the US, we have no proven business model and no brand at the same time facing a lot of competitors. Still we decided to come here instead of pursuing other opportunities. Are we nuts? Not exactly, though it may look like we are. From the first day of Dodo Pizza, I declared that I wanted to build a global company. Four years ago it could sound ridiculous considering the fact that all I had was just one small delivery located in a distant northern town on the edge of the populated universe. No wonder why so many people made fun of me. Now Dodo Pizza has partners in China, Romania, Lithuania, Estonia, Kazakhstan and other countries. Nobody makes fun of me anymore. At the same time it’s clear for me that our franchise is not fully ready. And it’s clear for our partners as well. Why do many entrepreneurs decide to join us then? Because they share our faith in IT and value our philosophy of total transparency. 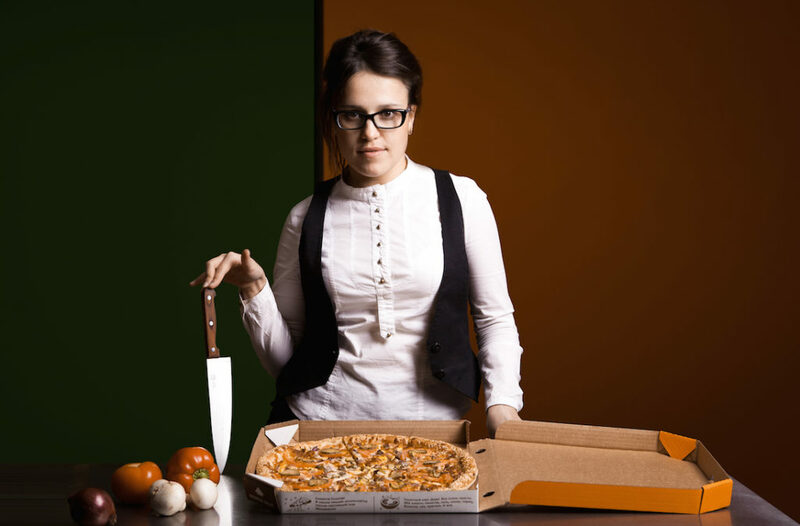 They know that Dodo Pizza as a brand is a work in progress, but they believe in its future. Dodo Pizza is coming to the US because I just can’t let them down. Going global, I need to be 100% sure that our business model is competitive even on the developed market. There is no better way to get this confidence than to win the most complicated competition. If you want to be a world-class champion, you need to take part in world-class championships, don’t you? Imagine that two roads are waiting ahead of you. One is quite easy, the other is really hard. Which one to choose? It’s a simple choice because you should always choose the hardest since it’s the right thing to do. These words belong to our compatriot and a successful entrepreneur Stepan Pachikov, the founder of Evernote, which you probably know as a successful software company. I feel the same way: we should choose the hardest path to challenge our business. Eating from plates makes you fat and lazy. Climbing trees makes you stronger. It gives you an opportunity to see things from above. So, that is the answer to the question. We are coming to the US to learn new things. We are coming to improve our business model. We are coming to charge our batteries. We are coming to fight and be beaten. We are coming to face failure and feel despair. We are coming to win. I’m the founder and CEO of Dodo Pizza. Read my first post on this blog to learn why I decided to build a multimillion dollar company and describe the progress publicly in real time.